There are several bedding ideas you can use to personalize a dorm room. 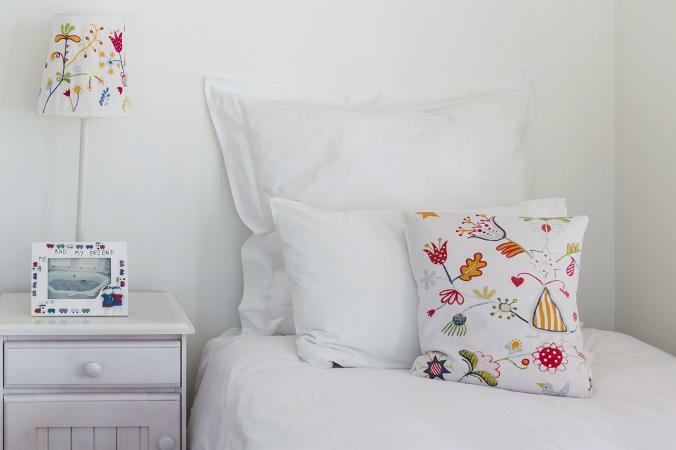 It can be as simple as adding a contrasting bed skirt or putting together a one-of-a-kind bedding ensemble. 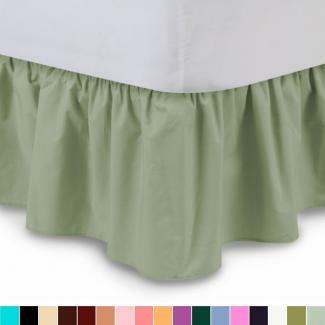 It may sound like a no-brainer, but the right bed skirt can make your bed look spectacular. Tiered ruffle: If you're going for the glam look, a frilly multi-tiered dust ruffle is perfect. Macramé with fringe: Give a retro look to your dorm bedding with a macramé and fringe trimmed bed skirt. Contrasting fabric: The fabric choice can add depth and texture to your bedding, such as a velvet or seersucker bed skirt. Lace it up: Give a breezy and delicate touch to your dorm bed. Opt for white, ecru or a color that contrasts with your comforter. Colorful tassels: If you want to go bold, bold tassels can be fabric glued to a plain bed skirt. Candy stripe: Jazz up a solid colored comforter or bedspread with a candy-striped bed skirt. Zebra horizontal print: If you like zebra prints, complement a zebra comforter with a zebra horizontal print to provide a small touch of contrast. Plaid: This unexpected choice can become a design statement when you use a matching pillow or two. In addition to typical throw pillows, you can personalize pillows to give your dorm room bedding a unique look. 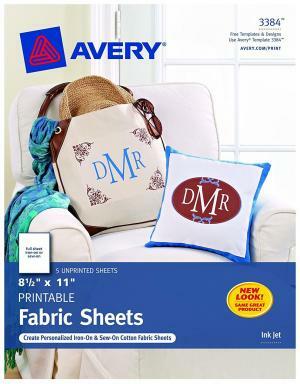 All you need is some iron-on transfer paper, such as Avery's Fabric Transfers for inkjet printers, so you can print your own transfer. You can make your own printable, choose a free one online or purchase one from an Etsy artist. 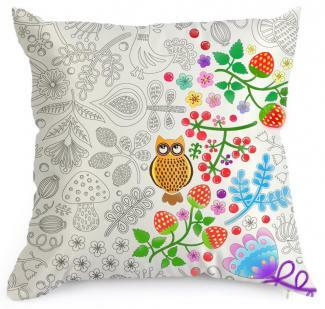 Select one or more prints to decorate plain pillows. Many sewing machines are programmed to create monograms. 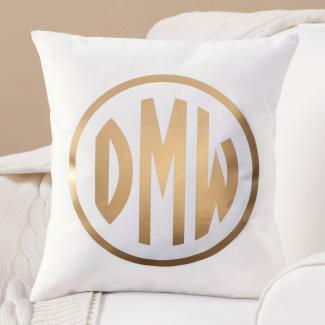 If you don't have access to this tool, find iron-on fabric transfers and create your initials in gold or another color that goes with your bedding theme. Express yourself with messaging word art. You can use indelible ink pens to write your message directly on the pillow. Use fabric glue to attach appliques that are designed for regular washing. An iron-on adhesive can be placed between the applique and the pillow fabric and ironed into place. The adhesive melts under the iron's heat and glues the two fabrics together. One way to create a stunning dorm room bedding look is to layer it. Start with the sheets and pillowcase and select a comforter, duvet, bedspread or quilt. You can add a soft nubby throw with pompoms for texture and interest. Don't forget quilts and coverlets for another layer to your bedding design. A sham pillowcase is usually included with a comforter. Build your pillow selection from this base. Select a large square pillow and two smaller ones to complement the pillow sham. Add texture with pillows, such as a chenille with tassels and a faux Mongolian fur pillow. Choose a bolster pillow to finish off the layering of pillows. You don't need a poster bed to support a canopy over your bed that will accent your other bedding options. Glam it up with a ceiling attached canopy of lightweight fabric. Round ceiling canopies are available in varying diameters. A smaller one can be suspended over the headboard to allow the sheer fabric to drape over the headboard and a portion of the bed. Alternatively, a larger diameter canopy can be suspended over the center of the bed to allow the fabric to drape over the entire bed. A rectangle canopy can cover the entire bed. You can cinch the corners to mimic a four-poster bed to create a dreamy magical effect. Add flowers, bows or streams of ribbons to cinched curtain ties. You may prefer to add beaded curtains by themselves or along with a colorful sheer for an exotic look. Just make sure the canopy can support the weight. 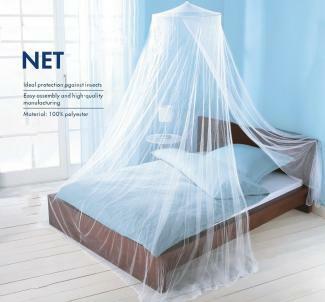 If you want a very simple look, use a traditional mosquito netting for the canopy draperies. You may decide that a patterned fabric is a better option for your canopy. Choose one that goes with your other bedding selections. There are many ideas for making a dorm room bed interesting and fun. You can personalize the bedding to make it truly your home away from home.